Having launched a new club night series in April focusing on experimental electronic music, London's Southbank Centre has now announced the next two Concrete Lates events. The first will take place on July 5 featuring a line-up of Laurel Halo, Cõvco, Object Blue and Coucou Chloe. 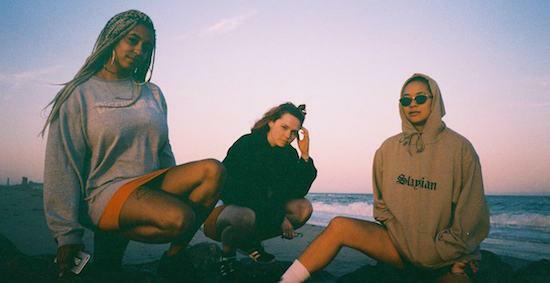 The second, scheduled for August 30, will see the Discwoman collective linking up with the Southbank Centre with Umfang and SHYBOI from their roster both playing alongside Kamixlo and Peach. These parties will take place at the Southbank Centre's 1,000-capacity Queen Elizabeth Hall and will again see the venue make full use of its 2am license. Both nights are scheduled as part of the Southbank's 'Women In Music' series celebrating the work of women in both classical and contemporary music across various other events also. "Despite the incredible female talent in DJing, mixing and producing evidenced by brilliant collectives like Discwoman, the electronic dance sector is still widely regarded as a male world," says Bengi Unsal, the creator of Concrete Lates. "This needs to change. We have a long history supporting female pioneers of the genre, like Daphne Oram who performed at the Queen Elizabeth Hall as part of the First Concert of British Electronic Composers in 1968. "I'm excited that we're able to continue this with Concrete Lates, and not only support female-identifying artists, but use Southbank Centre's platform and location to reach a wider audience of gig-goers too." For more information on the events, and to get tickets, head here and here.